This entry was posted on December 9, 2009 at 5:11 pm and is filed under 2009 -- KfC's 10 best, Essays. You can follow any responses to this entry through the RSS 2.0 feed. You can leave a response, or trackback from your own site. 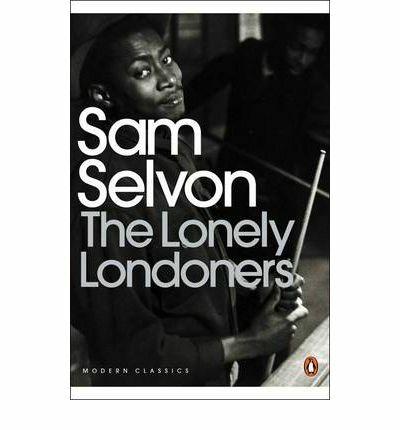 As you know, i really enjoyed Selvon’s Lonely Londoners and look forward to reading the two remaining parts in the trilogy. And I wholly concur with your views on Murial Sparks’ A Far Cry from Kensington. Indeed, your review spurred me on to read this one and I thoroughly enjoyed it. I have since gone out and bought several other Sparks’ novels and look forward to reading them in 2010. Oh! If only Sparks was my surprise of the year! “The Prime of Miss Jean Brodie,” even after many conversations about it and much thought, still didn’t do much for me, though I admit it was brilliant. I still blame distractions for my failure to find resonance. Great list, though, Kevin. I’ve already read all of your reviews, but it’s nice to see which ones are sticking out to you. Each one is on my to-read list except for the Richler. From your earlier review, I gathered I would like it for lack of knowledge about that time and history. Was I wrong in that? If so, then your list above — those I haven’t read — are all on my list. It is true that a knowledge of Canadian history makes Barney’s Version easier to understand — I would say that I think it still works for you. Not a hard read at all and well worth the effort. As for Spark, I think some of her less obvious works (like Kensington) may be better than the ones that attract the most attention — but I have to read more to confirm that. 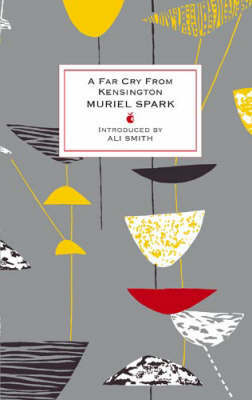 My favorite Muriel Spark book is probably “Girls of Slender Means”, although I’ve enjoyed most of them including “A Far Cry from Kensington” and “The Prime of Miss Jean Brodie”. I have only read one Murial Spark book – Aiding and Abetting. It was quite playful and enjoyable but didn’t make me feel desperate to read her back catalog. A very good list, Kevin. I have read a couple of them and agree with you, which makes the rest very tempting. Colette: I think Spark is an author where you keep a couple of books on the side for when you think it is time — and you get a good reward if you do. Thanks for your positive comments and your support of this blog — it is much appreciated. Tony: I’m not going to try to set up the whole Spark catalogue for a read, but I certainly intend to dip into some others — thanks for your thoughts. Will: Do read The Bishop’s Man. It does live up to the reviews. I heard Robert Arthur Alexie read at Wordfest this fall; I went home with a copy of the book. It was impossible not to. I haven’t read the book yet, but your list just pushed it to the top of the pile. Shaun: I think Porcupines and China Dolls is a very special book — and from what I heard the Wordfest reading was also something special. By all means, move it up the list. You will not be disappointed. Hooray for your inclusion of Munro and Spark! The Bishop’s Man is tempting me, and given similar Australian history, Porcupines and China Dolls sounds interesting. It may be hard to get a copy, but I’ll try. Thanks for a really stimulating list and minus `Wolf Hall’ or `Brooklyn’ for a change. The only problem for me is the addition of further tempting purchases on top of the vertiginous list of TBR’s I’ve already got. 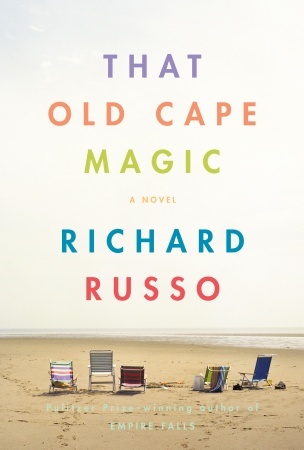 Like you I love Richard Russo and have `That Old Cape Magic’ earmarked for my Christmas read. As I live in France I feel I should make the effort to read the Echenoz in the original. I’m sure I’ll find it in FNAC. I’m afraid I don’t share your liking for Muriel Spark. There’s something about her style or her humour that doesn’t gel with me – but then you don’t care for Richard Ford and I love him! 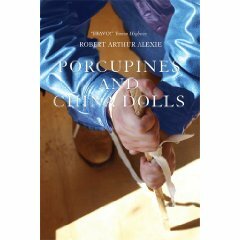 I haven’t seen any copies of `Porcupines and China Dolls’ in the UK or Paris but – I shall look out for it or order on line.It sounds excellent. Terrific list and thanks for introducing me to a few books I wasn’t aware of, but really must seek out – Ravel, the Bandini Quartet and The Lonely Londoners trilogy – I’m a fan of Patrick Hamilton; I wonder how this compares with its depiction of loneliness and isolation apart from the cultural differences. I concur with the Russo which I loved. And The Glass Room is my number one book to read over the holidays. And I am one of those guilty Canadians who STILL hasn’t read Barney’s Version, so it’s good to have another reminder. Mary: Russo will be very good holiday read — and I will be interested in your opinion of the Echenoz from the original. We’ll just have to disagree about our opinions on Ford and Spark. They are both great writers so perhaps our difference says more about our tastes than anything else. Alexie’s book is not out yet in Europe and it will probably be a while, so you may have to order it from NA — if you are looking for others to add to the order to reduce the per-book shipping cost, I’d recommend both The Bishop’s Man and The Incident Report (I wanted to put it on my top 10 list so much, but it is just too quirky. Blithe Spirit: I haven’t read Patrick Hamilton (he is on the TBR pile) but my impression is that he can be compared to Selvon — one dealing with an immigrant community, the other with the native-born lower class. And not having read Barney’s Version is now a tremendous advantage — think what you have waiting for you! I plan to take another read of Duddy and then move on to Solomon Gursky as my 2010 Richler project. Do you read Jane Urquhart? I’m contemplating going back to some of her books next year as well. I find Urquhart a bit hit and miss – I liked the Stone Carvers and probably my favourite novel of hers is her Bronte novel Changing Heaven. Yes, I am looking forward to Barney – enjoyed Solomon when I read it many years ago. I really enjoyed this list. As has been said above, while I read all your reviews, it is very interesting to see which you peg as your favorites of the year. I was kind of hoping to see The Incident Report, though my decision to read it is already made. So, when I saw you mention it as a “just missed the top 10”, I felt some strange vindication. I am looking forward to the quirkiness. The Glass Room and The Bishop’s Man are the other two I am definitely putting on the TBR. Thanks for a great, diverse, list. Blithe Spirit: Changing Heaven is a favorite for me — I also admire the Underpainter, but that may be a reflection of my interest in art. And I agree that some of her works (A Map of Glass) just don’t work at all. Kerry: I’ll be content with getting The Incident Report onto the list through comments — I did like the book a lot. The other two that you mention are quite special as well. Thanks for your kind comments. Yes, I do notice the comments at the top, noting Philip’s. Ha! Thanks, Colette. I did like The Humbling, it just did not rate top 10 consideration. Philip will just have to live with that. Great list Kevin. I think you did hit a very good balance. Pretty high on Canadian content. I’m hoping to get to the Russo this year. 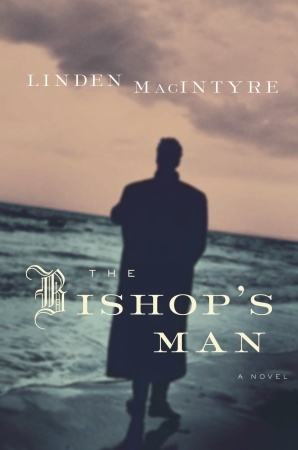 I definitely enjoyed The Bishop’s Man and your other choices will play into my reading list for 2010. Interestingly, only one major award winner, Bishop’s Man on the list and only one choice from the Booker long list. I know you liked Summertime a lot and assume it was a consideration. My two favourite reads of the year were older novels, Disgrace and Empire Falls. My most disappointing was Vernon God Little which I know you liked. Man Gone Down was a close second for most disappointing. I think I read all the major prize winners and of those I probably liked The Secret Scripture (JT Black) the best though Bishop’s Man was a close second. I really enjoy the blog and all of the people that contribute comments. Thanks, Rick. I found both the Booker and Giller shortlists rather interesting this year — both had good to very good books (and definitely rewarded the reading) but both also lacked what I would call “outstanding” works. You would get no quarrel from me on the value of both Disgrace and Empire Falls. And since Man Gone Down was one of the few novels that I abandoned this year, you’ll get no disagreement on that one either. Best holiday wishes to you as well and thank you very much for your contibutions to KfC. I do hope Penguin bring out Moses Migrating at some point , if they have the rights to that one. Not that I’ve read Moses Ascending yet. Must read the Echenoz novel(s) I have lying around, but Ravel looks really good. I’ve picked it up many a time in the shops, but never committed. Good to see Fante make the list. Everyone must read him. Must</em! Have you read Bukowski? I've got Post Office sitting to hand, and have been thinking of bumping it up the list, especially because of his statement that “Fante was my god”, although part of me says first read more Fante. Regarding Muriel Spark, I’ve only read two of hers – Loitering With Intent, which I can’t remember, and The Driver’s Seat which has a surprising ending, but, similarly, I can’t remember much about how it gets there. Given that her ‘novels’ are so slight, I wonder if we’ll one day get a Collected Muriel Spark. Stewart: I am very glad you dropped by, because it was only after I put up the post that I realized that you are at least indirectly responsible for both of my multi-volume selections. 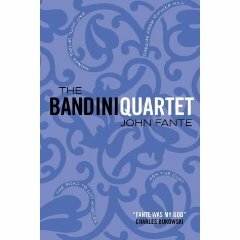 Your review of John Fante’s 1933 Was A Bad Year was my introduction to him and led me to The Sage of Arturo Bandini — for visitors who aren’t up to starting with four (albeit slim) volumes, 1933 is not a bad option at all. I haven’t read Bukowski or Dan Fante yet, but have both on the long term horizon. You have to share credit with Max at Pechorin’s Journal for the Sam Selvon trilogy — Max’s review of The Lonely Londoners referenced your earlier review and the two convinced me to start the Moses project (and only even later discovered he had spent the last part of his life in Calgary, where I live — part of it as a janitor in the English Department at the University of Calgary). Along with all his other problems, Selvon seemed to have publisher problems — a North American reissue of Moses Migrating finally got published about a year ago, but I can see no sign of UK access. Completist that I am (witness the two multi-volume selections in the list) I do think it is an important book to read, although there is no doubt that The Lonely Londoners is the best work. For those who don’t know Stewart’s blog — http://www.booklit.com/blog/ — it is well worth a visit. Life has restricted his new entries for the last few months, but there is a wealth of previous reviews to provoke interest — the two that got me going were published in 2007 and 2008. As for Muriel Spark collections, the publishers are way ahead of us. Houghton Mifflin put out two volumes of five novels each in 1995, although they appear to be out of print now (available on many used book sites, some new copies included). Everyman’s Library has a volume that collects four (not including Kensington), so I wouldn’t be surprised to see another volme of collected novels appear from them. And there is a volume of Collected Stories. 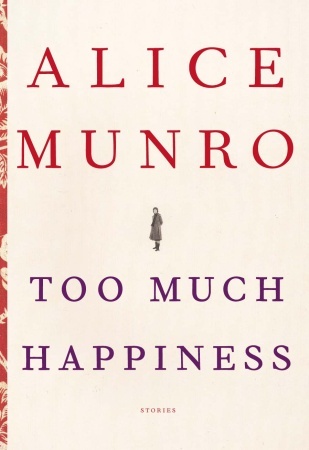 As I said, I was surprised at how much I liked the book — I only read it because I remembered her short stories from the New Yorker and was looking for a “light” read. Ended up reading it twice in three days. Hopefully I’ll remedy this a bit over Christmas. Almost done with some Bolano, starting dipping into the collected short stories of Agnes Owens, and have been gathering an interesting variety of titles to look at. Great news, Stewart. I certainly miss your thoughts. I have to admit, I loved the Fante I read, though I’ve had trouble tracking down the sequels in individual volumes which is a pain. A project for next year I think. I bought an Echenoz, but not Ravel, a mistake on my part as I no longer buy books when I have one on the shelf by the author I haven’t read (well, I try to avoid that anyway), but Ravel really is crying out to me. 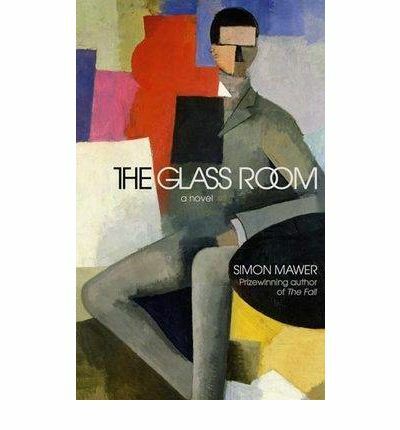 The Glass Room I’ll be picking up as soon as it hits paperback. The Richler review I’ll have to reread, I don’t remember that one. Interesting list, but then I’d expect no less. On Selvon and Hamilton, their styles are very different. The Lonely Londoners was probably my big discovery of 2008, a wonderful novel, but the Patrick Hamilton I’ve read is also very rewarding. With Hamilton I’d probably pair Julian Maclaren-Ross’s tremendous Of Love and Hunger, and perhaps some George Orwell. Max: Next time that work calls you to America, block off time for a trip to the Strand in New York and buy the Bandini Saga (our comments have crossed — you just reviewed Bukowski who is firmly in the Fante camp and I am just getting to him). You are quite right about comparing Selvon and Hamilton. I would be more inclined to look at Brick Lane and some of the other recent immigrant novels — none of which are as good as the Moses trilogy. 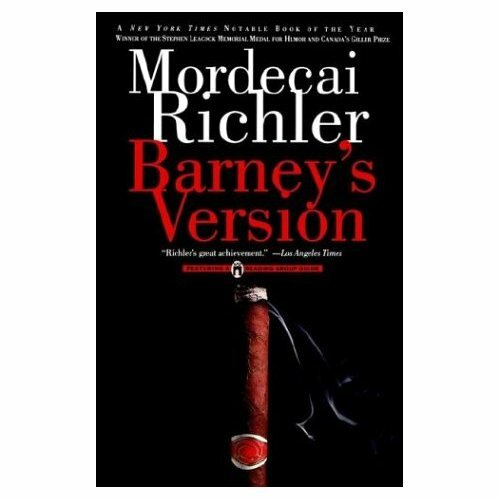 My experience with Richler’s Barney’s Version convinced me that I need to revisit his works. Duddy Kravitz is on hand for the next few weeks and Solomon Gursky will follow in a few months. So you might want to hold off on him until you see more impressions — he was a very, very good novelist. Shall do. I did pick up while I was out there Bright Lights, Big City and Shoplifting from American Apparel (which I read about on The Asylum), sadly the Bandini didn’t occur to me until it was too late. I believe that John Fante’s works were orginally published by Black Sparrow Press. And, a quick Google reveals that the archival material of Black Sparrow Press may be found at the University of Alberta – http://www.uofaweb.ualberta.ca/bsp/ which was a surprise to me. They also published Charles Bukowski and it appears that the press is now known as Black Sparrow Books. Gill: I think you are right about Black Sparrow, although the currently available versions show up as Harper Collins. I didn’t know about the U of A connection, which surprises me also. Since Bukowski also shows up now under the Harper Collins imprint, I’m presuming there was a buyout-takeover. I think Black Sparrow were a small press outfit, and that it was them that first published Bukowski. What happened to them since, I can’t say. Ah, I found this: http://www.blacksparrowbooks.com/aboutbsb.htm, very interesting. Thanks, Max. I had come across Godine before, but this is interesting information. Much of the design work for Black Sparrow Press was done by Peter Sibbald Brown at Eildon Hall Studio on the shores of Lake Simcoe and it may be that John Martin is a Canadian which is why his archives where donated to U of A. Thank you for that update. I did know (from your previous contributions) that PSB designed a couple of the Fante covers — this would seem to provide the right archive information. Merry Christmas Kevin and Sheila! Happy holidays to you and your family as well, Colette. Thanks for the best wishes as the KfC blog approaches its first birthday. Fascinating list – and I haven’t read one of them, though have read others by some of your authors. I have a soft spot for Mordecai Richler and look forward to seeing this book appear in the shops (at least I hope it does here downunder). I was given Richler’s Shovelling trouble way back in 1974 when I met a young Canadian in a youth hostel in Tasmania. He passed it on to me when he’d finished it … I read it but I never passed it on. I still have – and treasure – it. Richler does have a good UK publisher — your best bet if you like him is probably to use the Book Depository. I have The Apprenticeship of Duddy Kravitz close at hand and will be re-reading it soon — I was pleasantly surprised at how much better Barney’s Version was in re-reading than in memory. I visited your top 12 list and have read three (Toltz, Ishiguro and Adiga). I quite liked the first two, did not care for Adiga. If you do review more of Richler’s work here, can I put in a request for On Snooker? I never thought I’d like a book about snooker, but I loved it. Because it’s not really about snooker at all in my opinion, but Richler’s coming to terms with his own death and the end of his career as a writer. Freaking brilliant I thought. I’d be interested in hearing your thoughts. And I ended up being intrigued by snooker–even going so far as to watch a couple of the more famous matches on You Tube! I haven’t read On Snooker but do have it mentally bookmarked. I want to reread a few more of Richler’s novels first but intend to get to it eventually — my impression is that you are right in concluding that it is a “farewell” work and I’d like to leave it until I have finished revisiting the novels. My understanding of this small publisher was that in the early 1980s they were located in Santa Barbara, CA and husband-and-wife team John and Barbara Martin were BSB. Barbara designed most of the covers, and John liaised with authors. They retired to the Santa Rosa, CA area.